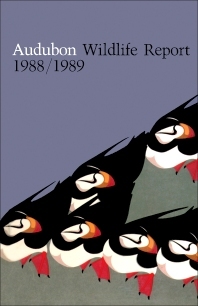 Audubon Wildlife Report 1988/1989 focuses on federal wildlife conservation policy, with extensive background information on the history, legal authorities, and administrative structure of federal wildlife agencies and programs. The report also includes in-depth treatment of significant problems, issues, and developments including wildlife. The text is divided into five parts. Part One features an agency related to wildlife conservation, which is The National Marine Fisheries Service in this volume. Part Two covers wildlife issues in national forests and national parks, as well as legal developments affecting wildlife. Part Three deals with challenges in conservation such as wildlife and water projects on the Platte River, international wildlife trade, and plastic debris and its effects on marine wildlife. Part Four discusses species accounts such as the moose, the Florida panther, and the common barn owl. Part Five consists of appendices which indexes directories of conservation agencies, congressional contacts, and the endangered species list. The book is recommended for biologists, conservationists, and environmentalists who would like to know more about the status of endangered species, as well as the problems and programs of certain conservation agencies.